With a multitude of options to choose from, DSL services are still a mainstream service for many connectivity requirements. They form the backbone of SA’s home connections and remain an inexpensive and easy-to-manage connectivity choice. Capped services run at the speed of your DSL line, and are not throttled in any way, allowing seamless performance at all levels. They offer the opportunity to plan ahead and budget for specific usage requirements. 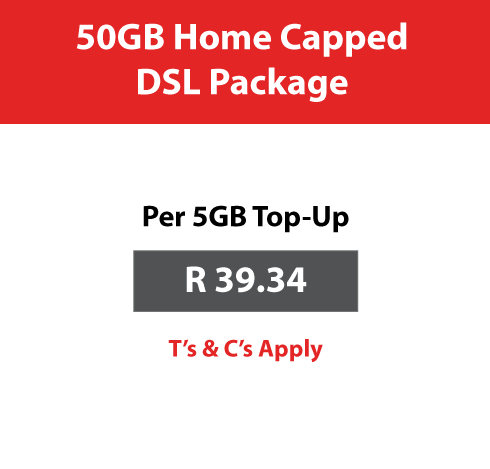 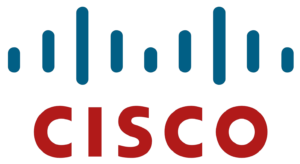 For capped users, additional data can be added as required, in 5GB cap increments. 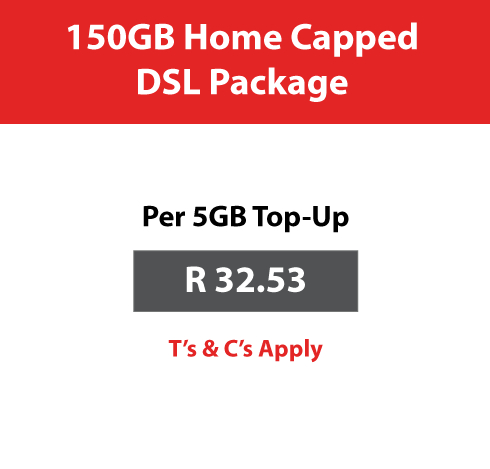 Additional 5GB data top-ups are charged at the following amounts per package. 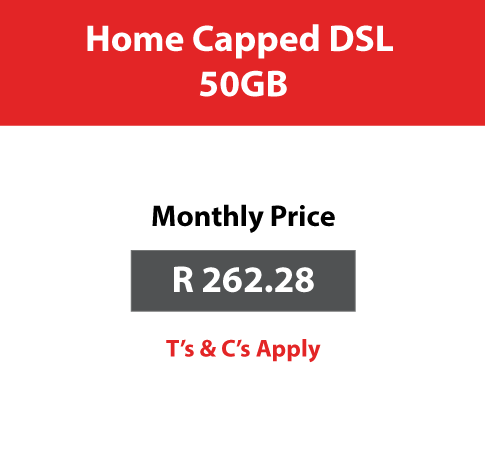 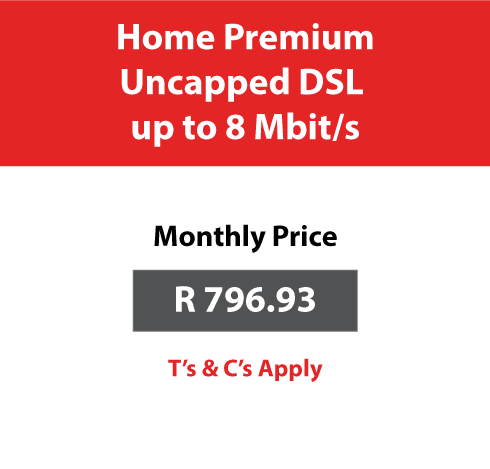 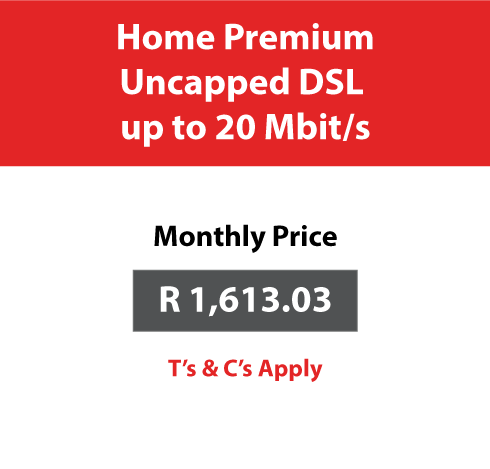 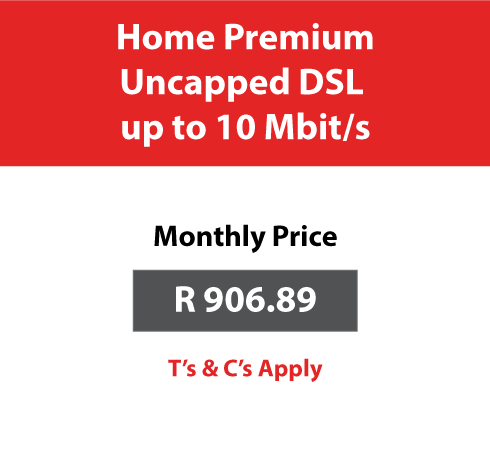 Our uncapped offerings allow flexibility and peace of mind with regards to data consumption. They are divided into Home and Home Premium Uncapped. Home Premium Uncapped benefits from better contention ratios, i.e. there are fewer maximum users allocated to each DSL pipe at any given time. Customers can benefit from hosting their DSL line directly through Adept, thus channelling both line and data service queries through a single contact point. For no additional fee, clients can opt for an automated DynDNS service, to tie their dynamic IP address to a user-selected DNS name on the dsl24.co.za domain. 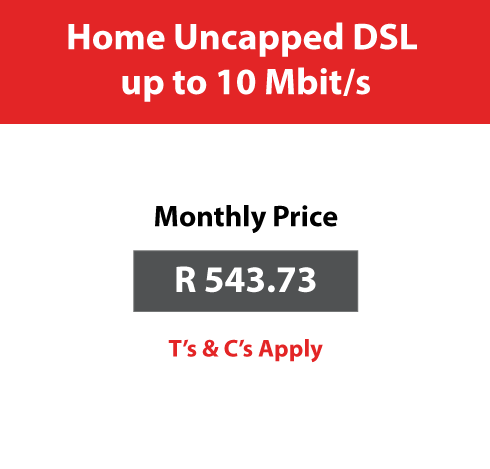 This requires no setup, no additional software and no changes to router settings.